Looking for private in-home or in-studio Fiddle lessons? Our Bingham Canyon teachers are ready to get you started. Find your teacher today! Check out some of our most popular teachers near Bingham Canyon, UT including Salt Lake City, Draper, West Valley City, Sandy and West Jordan. 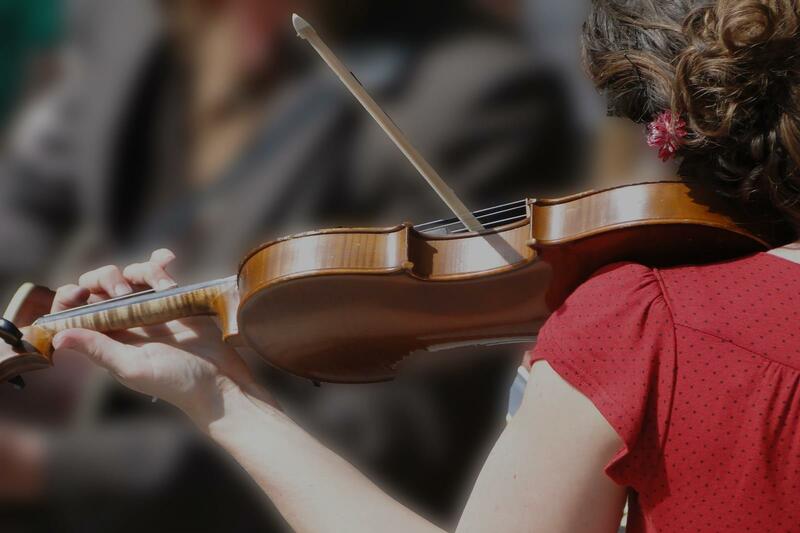 I am a professional violinist/violist with extensive teaching experience in fiddle and classical violin. My style is supportive, professional, and fun. You will be playing fiddle tunes and more very soon. I was a bit skeptical in taking lessons online but Elizabeth is an extraordinary teacher that knows how to teach even online. I would highly recommend her. The violin sings, but the fiddle dances. Or so the old saying goes! In teaching fiddle, I love to bring essential violin technique together with the various styles of diverse music. In the first few lessons we'll explore the style of fiddle you'd like to play and create a path towards that sound. As time goes on, you'll be ready to jump into a bluegrass jam circle, start a ceili or shred like Lindsey Stirling! The direction you take is up to you, and I'm excited to help you meet your goals! Can't find a teacher in Bingham Canyon, UT?